The mission of Soul Sisters is to encourage women and teens from all walks of life to grow in an understanding of God’s love and grace, faith and spiritual maturity through a relationship with Jesus Christ. All women are invited to attend, regardless of age, race, religious background, or lack of religious background. We are purposefully broad in welcoming every woman to our events, no matter where she is in her journey of faith. The gospel message is given at each event. We understand that denominational ties are important to many people. However, we have found that it’s best to focus on our common beliefs in Jesus and His saving grace rather than our differences. The butterfly on our logo represents women who, just like the caterpillar, fight to break free of their cocoon to evolve into the beautiful creation God intended. Today, more than ever, many women are emotionally, mentally and physically abused - left to deal with feelings of anger, bitterness and frustration. Often times, our sisters are made to feel insignificant and unloved. "It is for Freedom that Christ has set us free, stand firm then and do not let yourselves be burdened by the yoke of slavery." Video clip of some of our amazing Soul Sisters! About Us ~ Sunnyside Soul Sisters is a community based Bible Study group from diverse cultures and denominations. We meet once a week to study the Word of God and to strengthen each other's faith creating a closer relationship with Christ. Pictured left are Soul Sisters at the end of our Breaking Free Bible Study. 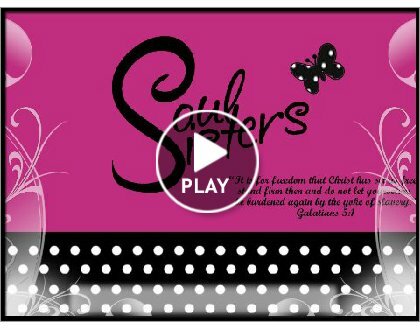 Our Work ~ Sunnyside Soul Sisters are dedicated to sharing the Word of God to all women regardless of age, ethnic, or socio economic background. We follow based studies and we believe that every woman is worthy of learning the freedom she has in Christ.